During the restrictive phase of a low FODMAP diet, wheat intake is reduced. Wheat intake is reduced because it contains high levels of fructans, one of the oligosaccharides (a type of carbohydrate). Other high fructan grains include rye and barley. 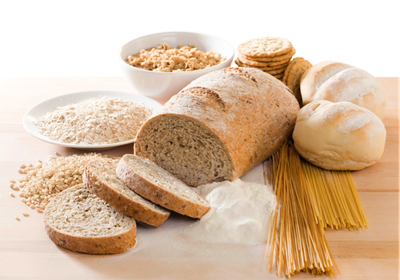 Therefore, during the strict phase of a low FODMAP diet, intake of wheat, rye and barley should be limited. However – it is important to note that this does NOT mean that you require a strict wheat-free or gluten-free diet when following the low FODMAP diet. When removing the main sources of wheat from your diet, such as bread, pasta and cereals, we recommend that these are replaced by suitable alternatives. See table below for examples. Products that contain only small amounts of wheat that may be well tolerated. For example, small quantities of wheat based biscuits, crackers or cakes. Products that contain traces of wheat or gluten which do not need to be excluded on a low FODMAP diet. For example soy sauce can contain gluten. This should be well tolerated on a low FODMAP diet. Gluten is mainly relevant in people with medically diagnosed coeliacs disease. 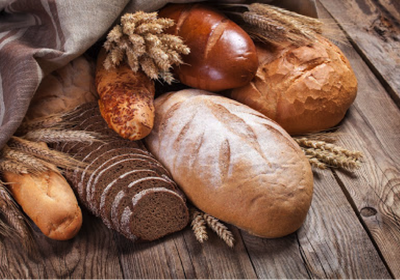 Gluten is the protein component in grains including wheat, rye, oats and barley. This raises the question of non-coeliac gluten intolerance. Evidence around non-coeliac gluten intolerance is unclear. Watch this space for an upcoming blog post on this topic. Remember, everyone’s tolerance is different. Always test your tolerance to see what you are able to consume and see a Dietitian for assistance in identifying specific food triggers.